Are you one of the millions out there watching March Madness? Well I have a confession…we are not a basketball family but we are a huge fan of all the amazing food that comes out at the “watch” parties! 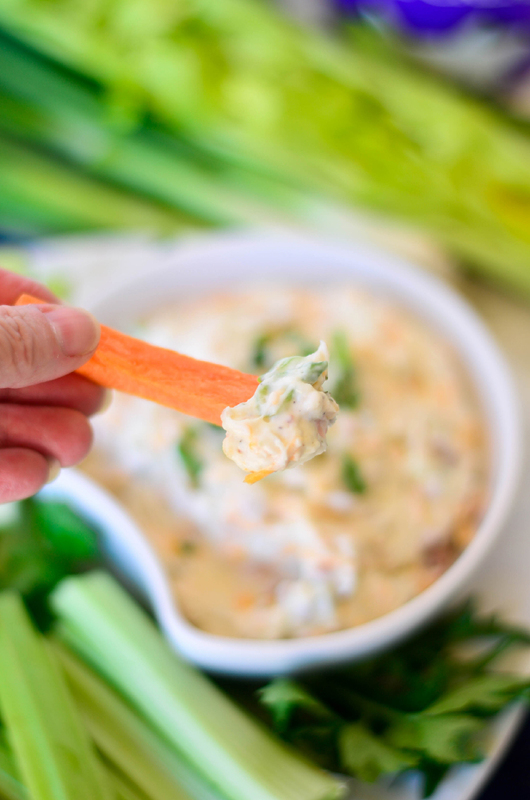 So in any foodie fashion I had to whip up this amazing Cheesy Bacon Ranch Dip! In order to make great food you need to start with great ingredients! I have used Shamrock Farms dairy products for a long time and I have to say Shamrock Farms is a favorite of mine. You know I only recommend products I use and love! 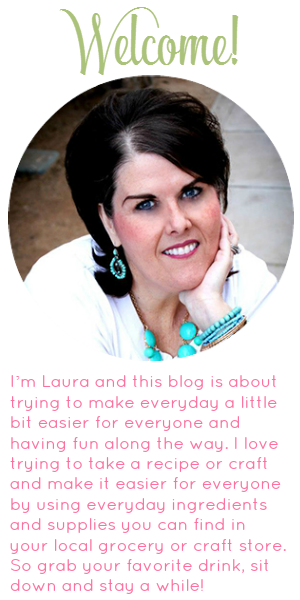 Let me tell you about Shamrock Farms and why I love their products! I especially love that Shamrock Farms is a local family-owned dairy operating in Arizona since 1922! Shamrock Farms never has and never will use growth hormones on its happy herd of cows. Shamrock Farms milk is locally sourced from its very own dairy. Every Shamrock Farms product begins with pure, fresh milk with no added growth hormones. All Shamrock Farms products go through rigorous purity testing, and are cold packaged and shipped to arrive fresh and fast with that farm-to-table freshness you can taste. Shamrock Farms products are crafted using a hands-on approach that has been refined for three generations. 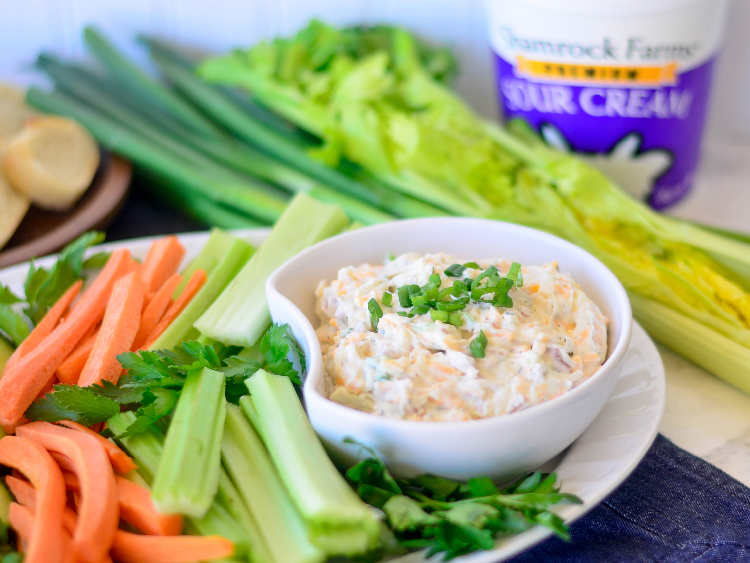 In just about every dip recipe you need delicious sour cream and Shamrock Farms Original Sour Cream does not disappoint! Its smooth and creamy texture is perfect for using as one of my favorite recipe ingredient. 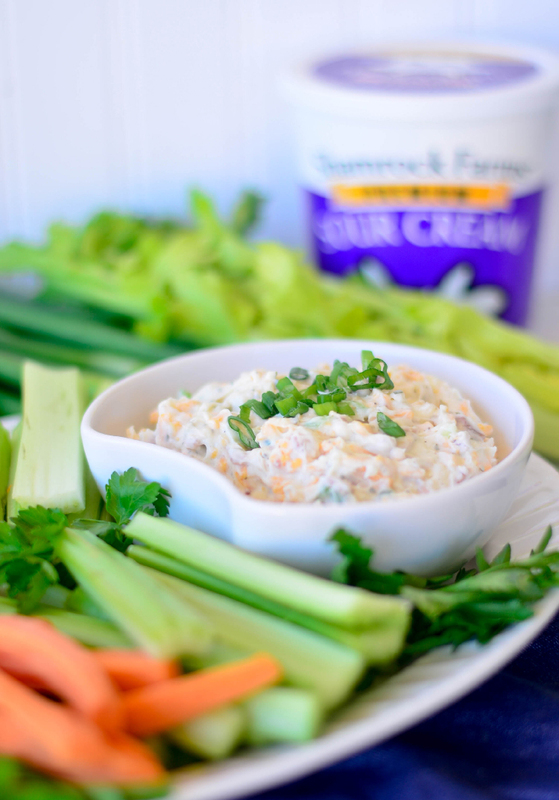 Shamrock Farms sour cream is perfect for mixing, dipping and topping, I keep it socked in my fridge so I have it on hand for any recipe I may need it for! 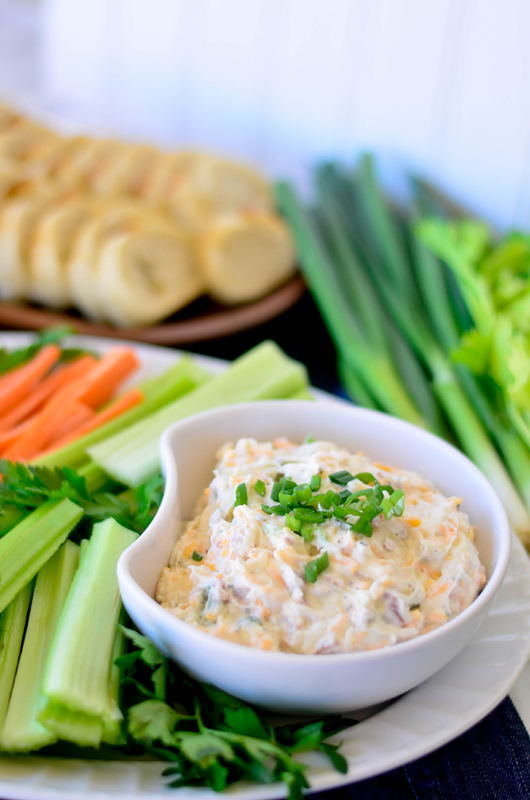 So lets get to this amazing Cheesy Bacon Ranch Dip! 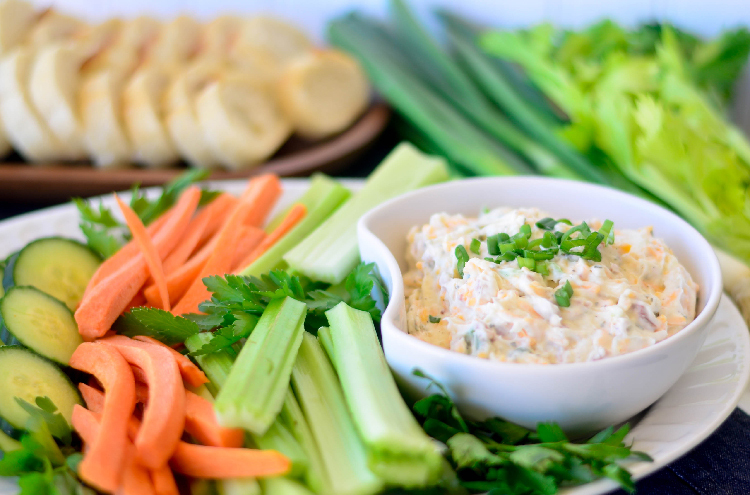 This is by far one of the best dips I have ever made. Seriously it is so good! Most of the ingredients I had on hand and yes I use my famous shortcuts! Just a few packaged items! 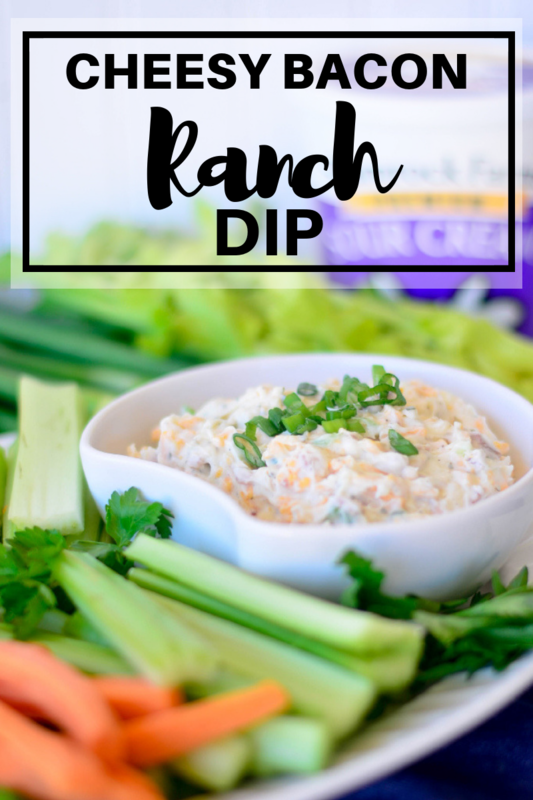 I used pre*packaged Ranch Dip and Dressing mix but if you want to make your own Ranch Dip mix you can use my recipe found HERE! Tip: The longer this sits the better it gets! One tip is the longer this dip sits the better it gets. You can eat it right away but it is so much better the next day! Either way you will not have leftovers! Serve with veggies, chips or a sliced baguette! Honestly this is crazy good! What recipe would you use Shamrock Farms Sour Cream for? I think my next recipe is a sour cream cheese cake! Leave me a comment I want to know what your going to make!